With so many foreign films launching at Cannes, more than a few are bound to get lost in the shuffle. 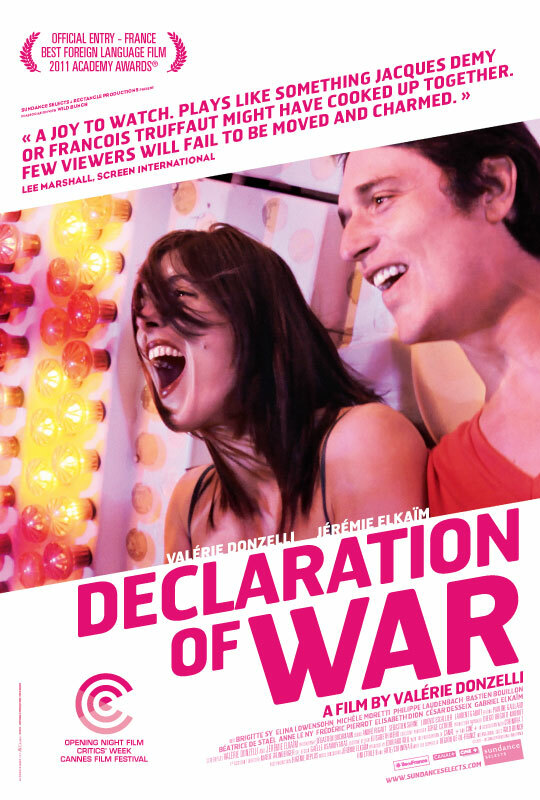 One of those, absent on my personal radar, was the French film Declaration of War, directed by Valérie Donzelli. It looks like it made it through the pack, as France declared (!) it their entry for the Best Foreign Film Oscar. IFC also picked it up for distribution, and ahead of their late January release, we have the first trailer. With 50/50, cancer and comedy seems to be tied together this year and for this foreign film, it looks to be a well-told story with some beautiful visuals, worthy of its praise so far. Check it out below via Apple for the film also starring Donzelli and Jérémie Elkaïm. The opening night film at this year’s Critics Week at the Cannes Film Festival and France’s Official Entry for Best Foreign Language Film at the Academy Awards(r), this exuberant and deeply moving film follows a new couple, Romeo (Jeremie Elkaim) and Juliette (Valerie Donzelli), who must face the ultimate test when they discover their newborn child is very ill. Gathering their friends and family together, they confront the ordeal together as a form of warfare. Donzelli infuses the story with unexpected verve using a host of cinematic techniques, music and heartbreaking performances that results in a film about a contemporary couple who surprises even themselves with their ability to fight not only for the life of their child but for each other. The result is a film will bring tears to your eyes but will dazzle you with its contagious vitality for life. DECLARATION OF WAR draws on the real life experiences of Donzelli and co-star/co-writer Elkaim and what they went through when their own son fell ill. Declaration of War hits theaters January 27th, 2012.